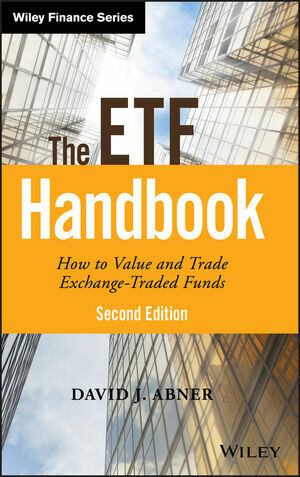 The ETF Handbook is a comprehensive handbook for using Exchange Traded Funds, designed specifically for institutional investors and professional advisors seeking to improve ETF profitability. While ETFs trade like stocks, they are not stocks—and the differences impact every aspect of their use. This book provides full guidance toward effectively monitoring, analyzing, and executing ETFs, including the technical details you won't find anywhere else. You'll learn how they work, where they fit, and who is using them, as well as the resources that exist to provide access for investors. This new second edition includes updated coverage on how business has moved from niche to mainstream, ETF performance and issuers around the world, and changes to the users of ETFs in the US. The companion website features instructional video, as well as ready-to-use spreadsheets for calculating NAV and IIV. Most of the literature surrounding ETFs is geared toward individual investors or traders, but this book is written from the professional perspective—complete with the deeper mechanical information professionals require. ETFs are incredibly flexible and valuable tools, but using them effectively demands a more sophisticated skillset, even among professional money managers and traders. Daily volumes and spreads do not tell the full story regarding availability and liquidity, and treating ETFs just like stocks can dramatically impact profits. The ETF Handbook is the professional's guide to the ETF markets worldwide with expert insight on the technical details that matter.